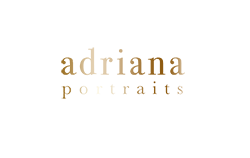 BLOG » What are Beauty Portraits? Is that like fashion photography? A big and resounding NO to this question. Beauty portraits are meant to give the average, every-day woman the chance to feel and look like a movie star. This session is all about you (you can bring a friend if you'd like and share the fun but we'll focus on individual portraits). You will have your hair and makeup done and then comes the photo session. This is where most women get uncomfortable. The spotlight is on you. Now what to do?! That's the cool thing, I will tell you EXACTLY what you need to do. I will tell you how to hold your chin, how to move your shoulders, where to place your hands, what foot to lean on and everything else in between. Style choice is one of the most important factors for a successful beauty session. Don't worry I will guide you through this as well. When we meet for your consultation I will tell you exactly the type of outfits you should bring and it will largely depend on what type of woman you want to be in your portraits. For example are you going for a strong and cool vibe or do you want to embody everything that is soft and whimsical? And the fun part? I'm consistently growing my own studio wardrobe so you'll even get to play a little dress up! My ultimate goal for a Beauty Session is to get you to connect with the camera. This is probably one of the hardest things to capture because only a very small percentage of the population is actually comfortable in front of the camera. I'll tell you honestly, the first twenty or so images I take are only to warm you up and it's very seldom I get anything worth while. But after a while of directing you and twisting you into a pretzel, you'll start to trust me. And then, I'll bring in the fan to add some wind to your hair and THEN we're in business! !